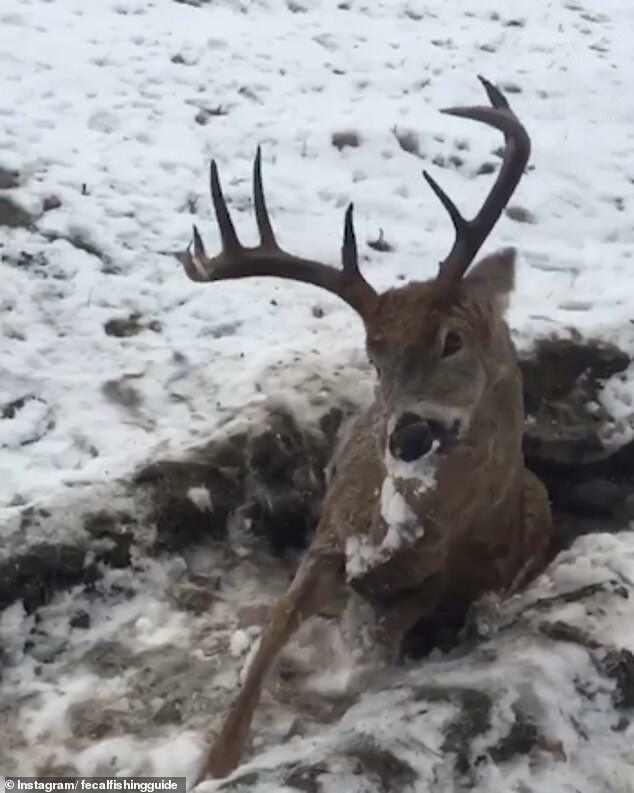 This is the horrifying moment a fisherman discovers the body of a frozen deer by the roadside as temperatures hit -5C. Zachary Brown, 25, a hunting and fishing guide, discovered the frozen body in Alberta in western Canada. The stag, which has large antlers, lies sitting upright in the snow with its eyes still open as if it it were still alive. It has died with its head cocked to the side and its front leg extended forward as if it were about to stand up. And the deer, which either froze to death or was hit by a car, has snow and icicles forming on its hide. The unlucky animal lies in a ditch in the earth and does not appear to have any visible injuries. 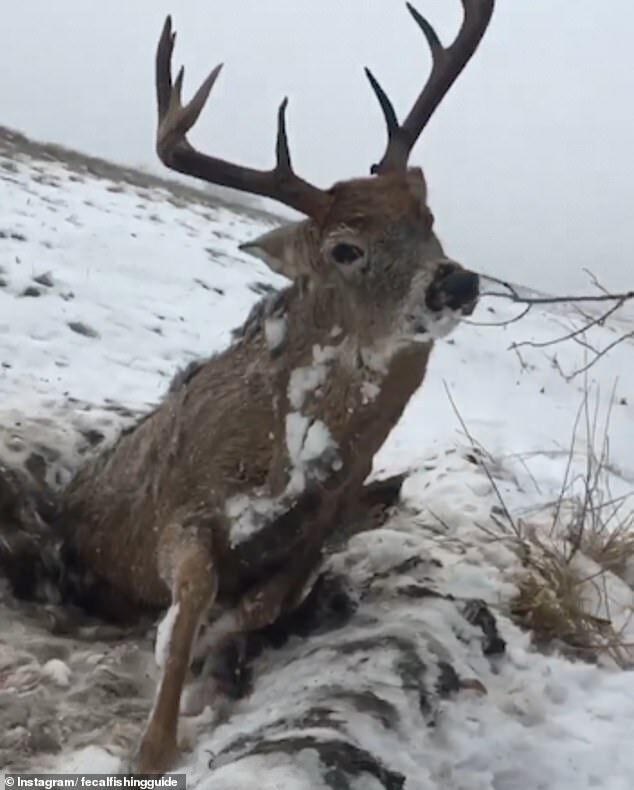 Mr Brown posted the video on Facebook with the caption: ‘This deer didn’t quite make it’. 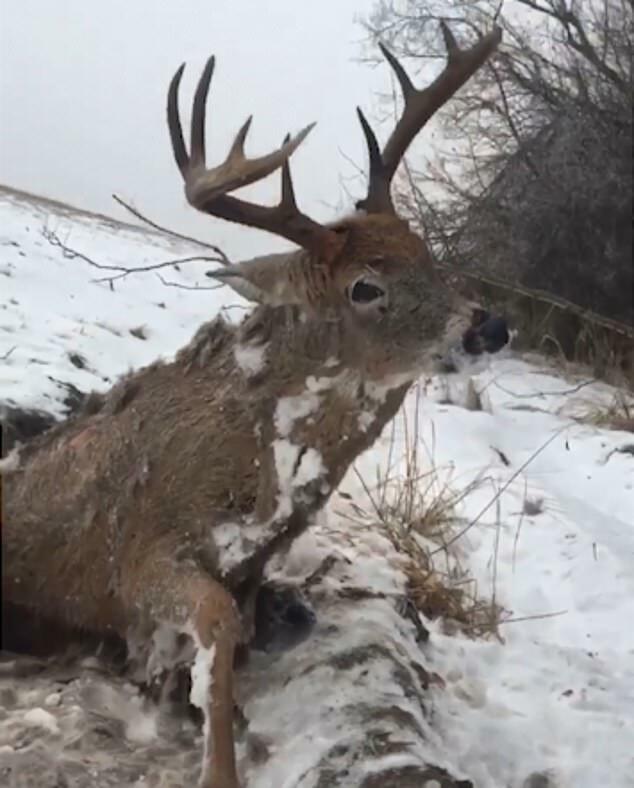 He said: ‘I was guiding at Wizard Lake outfitting and was driving from checking trail cameras and noticed a deer in the ditch, I was curious to see what it was all about and noticed this deer had either been frozen to death or been hit by a car. Previous Post:Will George H.W. Bush be honoured with a state funeral?